They are first bilaterally symmetrical animals. Therefore, they are more Complex than the cnidarians. 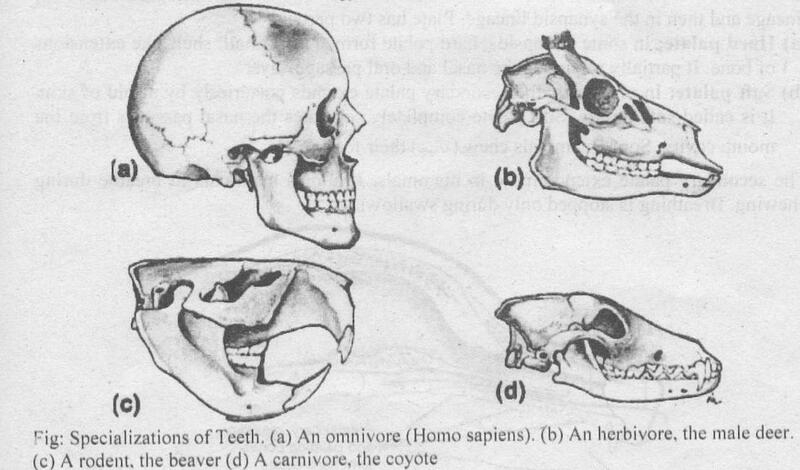 All these animals are triploblastic. They are acoelomate (without a coelom). (b) Phylum Nemertea: It includes a small group of worms. These worms are elongated, unsegmented and soft bodied. They are mostly marine and free living. (c) Phylum Gastrotricha: These animals live in the space between bottom sediments. Triploblastic acoelomate is an intermediate group between the radial, diploblastic plan and the triploblastic coelomate plan. 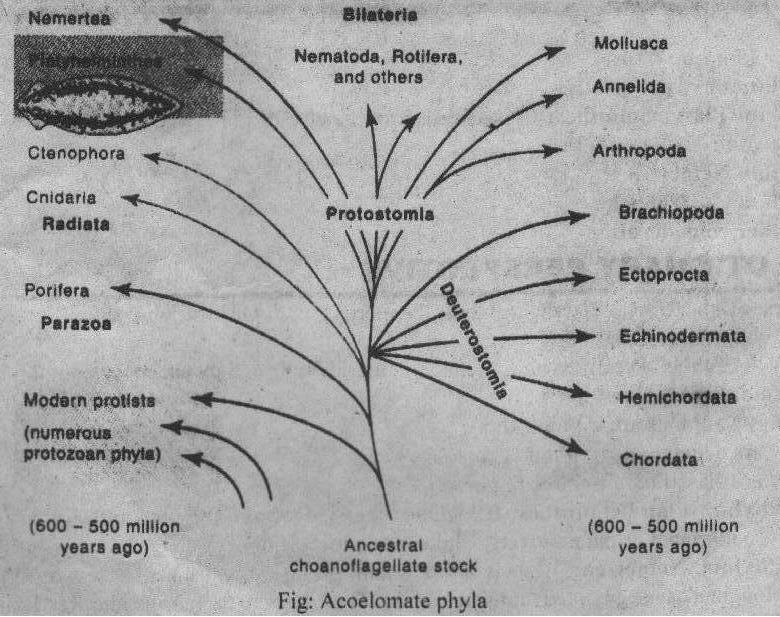 Therefore, the flatworms are an evolutionary side branch from a triploblastic acoelomate ancestor. Thus evolution of flat worms took place from radial ancestors. It formed a larval stage. This larva became sexually mature. Sexual maturity in a larval body form is called paedomorphosis. Other zoologists believe that triploblastic acoelomate was formed from a bilateral ancestor. 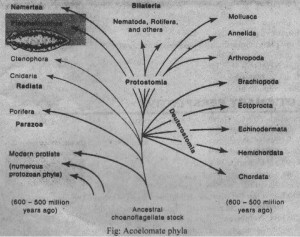 Primitive acoelomates and triploblastic were formed earlier than the radiate phyla. Therefore the radial, diploblastic plan was secondarily derived from it. There is recent discovery of a small group of worms (Lobatocercebridae, Annelida). These worms show both flatworm. and annelid characteristics. It suggests that the acoelomate body plan is secondary characteristic. Thus, the flatworms represent a side branch. It is formed as a result of loss of a body cavity. 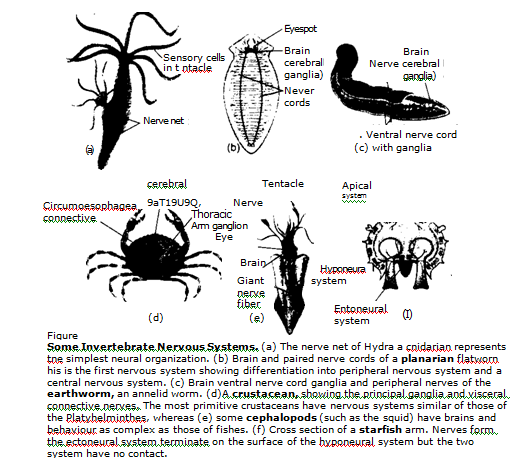 Describe nervous system in various invertebrate groups with special reference to the evolutionary trends.